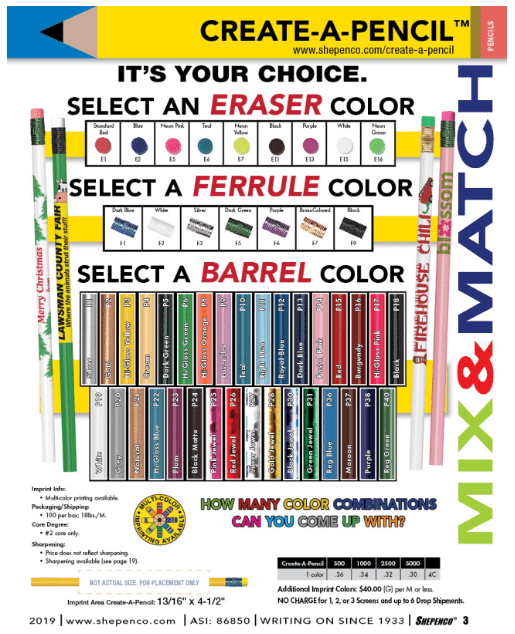 With today being National Pencil Day 2019, I’m including a look at the Shepenco CREATE-A-PENCIL. 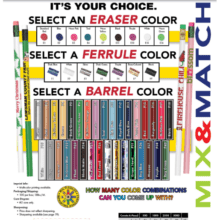 It has me poking around to see if I can order a quantity smaller than the 500 minimum for a custom pencil! You’ll want to be sure to check out the Shepenco Virtual Catalog. Next, I’m including their summary on using the Shepenco Create-A-Pencil. In conclusion, if I end up ordering a custom pencil for AnchoredScraps – of course, the question is – will it be the traditional yellow color? I’m thinking of that with a blue eraser and logo – stay tuned! Join me tomorrow as we wrap up March with my monthly blog recap. Happy National Pencil Day 2019! P.S. Today is blog post #1494! The countdown to AnchoredScraps #1500 daily blog posts continues!